As usual, sorry for the delay in posting and consequent length – there’s a lot to catch up on! 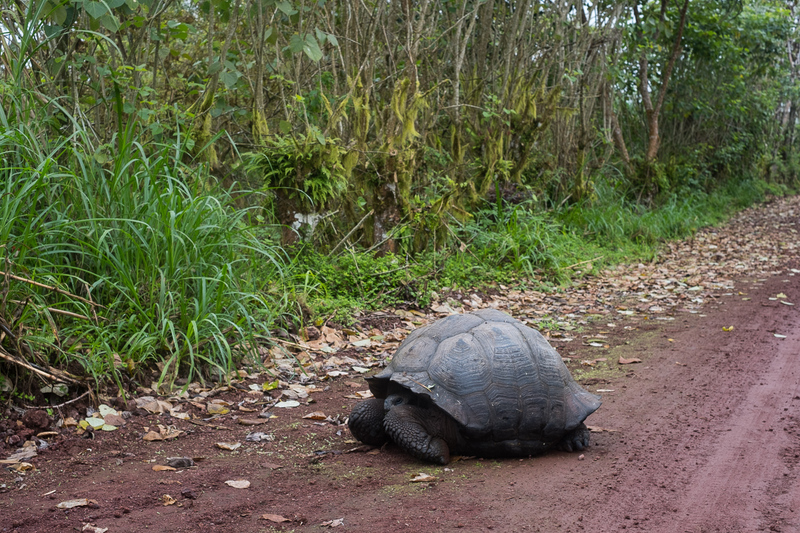 So after much deliberation, I’d decided to visit Galapagos after all. I’d been in a quandary as I’d read that the best way to experience the islands is on a cruise (albeit they have small boats that take as few as 16 passengers). Even last minute, the prices are jaw-dropping. And as a solo traveler, unless you pay double the price, they won’t guarantee you a cabin to yourself. The thought of being on a boat with a bunch of people on a very different trip to mine, let alone the possibility of sharing with someone who might snore or have other unsavoury habits, filled me with dread. I opted to go without the cruise and take trips from the islands. Seeing the sea lions, pelicans, and turtles everywhere was really good fun. Whilst I have a diving license, I took my course a long time ago, so I took a couple of snorkel tours where I got to swim with sharks and turtles, which was awesome. To be honest, I think I enjoyed it more than I would have done a scuba dive, and it was easy to just hold my breath and dive down when there was anything particularly interesting. Unfortunately the towns on the main islands are pretty shabby (with half-finished houses, tacky shops, bad hotels and mediocre but expensive restaurants in abundance). The people I met weren’t particularly friendly either. The most fun part was seeing the animals, and their complete lack of fear of humans, particularly whilst scrounging for scraps at the market. It felt like they just didn’t really want tourists in the places I visited. 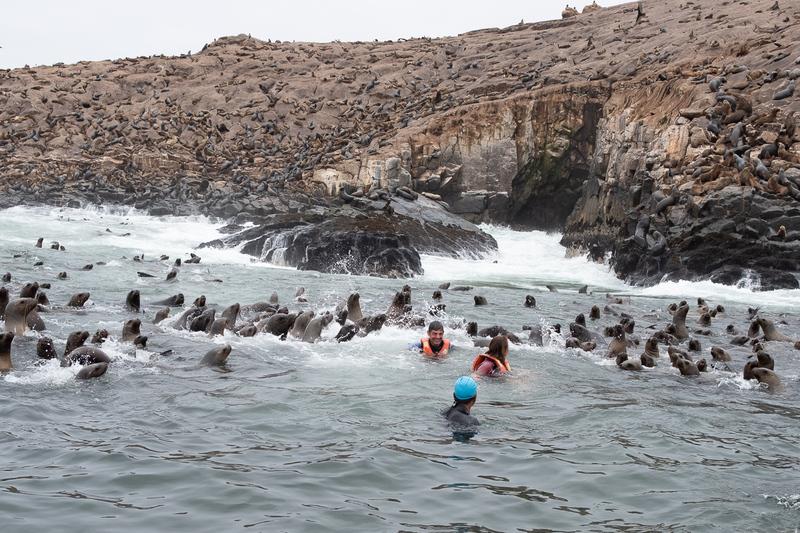 I spoke with some people who’d been on cruises and really enjoyed them, but for me Galapagos wasn’t quite the amazing trip I’d imagined. Luxury problems, I know, and I’m absolutely not complaining. Having seen some of the cruise groups being led on their ‘land excursions’ I don’t think I’d have enjoyed that much either. Maybe I was just unlucky with the experience I had, but I decided to leave after just four days, instead of the planned eight. 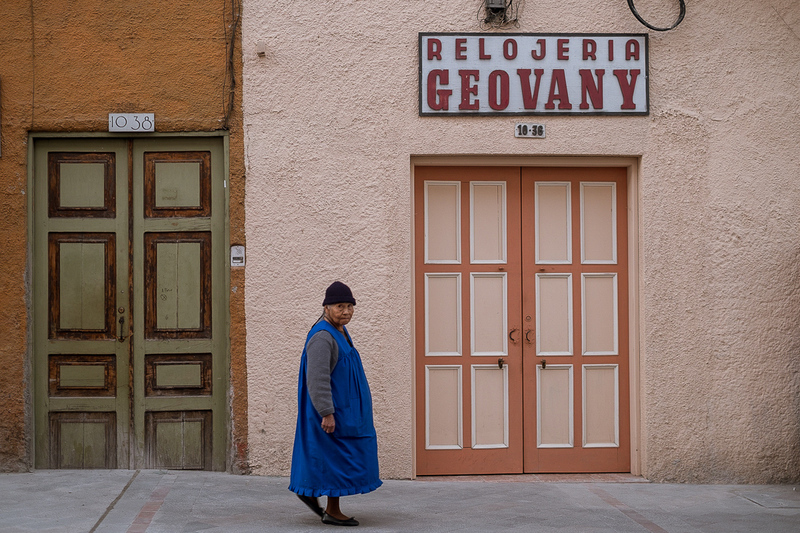 I returned to Cuenca (which is the opposite when it comes to hotels, restaurants, and the people) and took a week at Spanish school to brush up and correct a few mistakes. It was funny to find out the things I’ve been saying wrong for the last few months, but everyone’s been too polite to correct me! 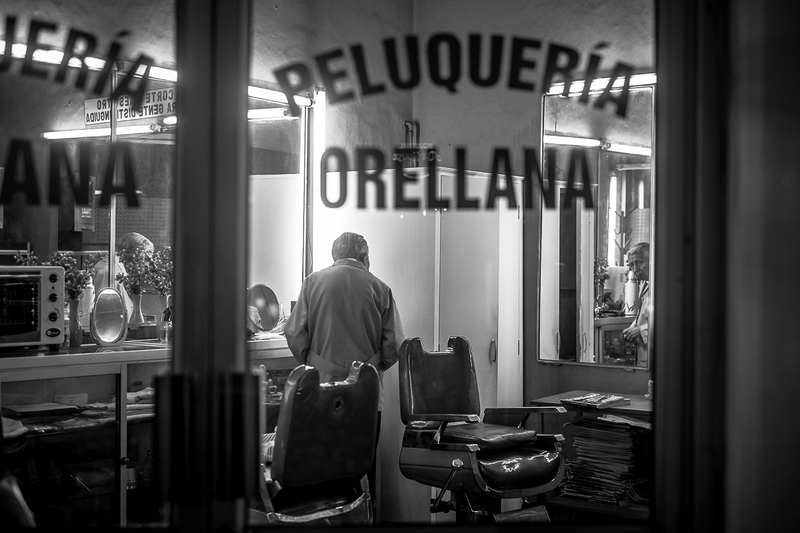 In Cuenca it was great to just enjoy the vibe and the friendly people, as well as (as usual) wander round, camera in hand. Having looked at my route, it was Peru that was going to be the big stretch that I needed to forego in order to make it to Patagonia by their summer (essential due to extreme seasons), i.e. Jan to March. 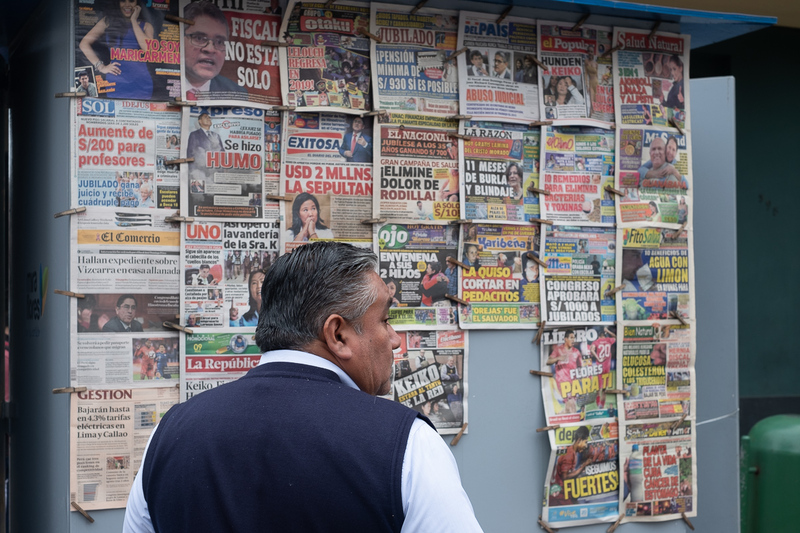 Not only is Peru huge, but it was also the only country I’d read consistent reports of cyclists being robbed. 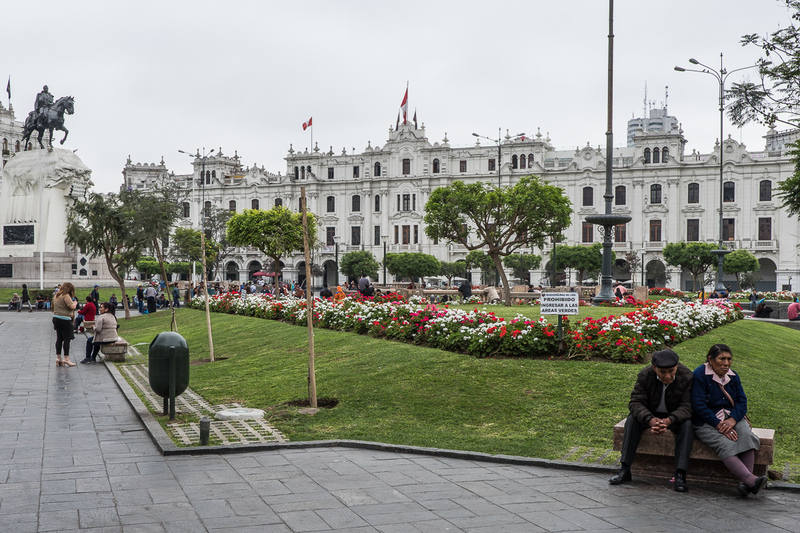 That said, I did want to see Machu Picchu as well as some of Lima, so I broke the coach trip into two parts – one of 29 hours (Guayaquil to Lima), and one of 21 hours (Lima to Tacna). The country is vast. The buses in much of South America work like the rail system in Europe, with a huge network criss-crossing the continent. Some are luxurious, and by western standards, incredibly cheap for the service they offer. I was amazed at how comfortable a 29 hour bus journey can be, with seats that are more akin to airline business class. So I scrounged a box from a local bike shop, boxed up the bike, and made my way to the bus station. 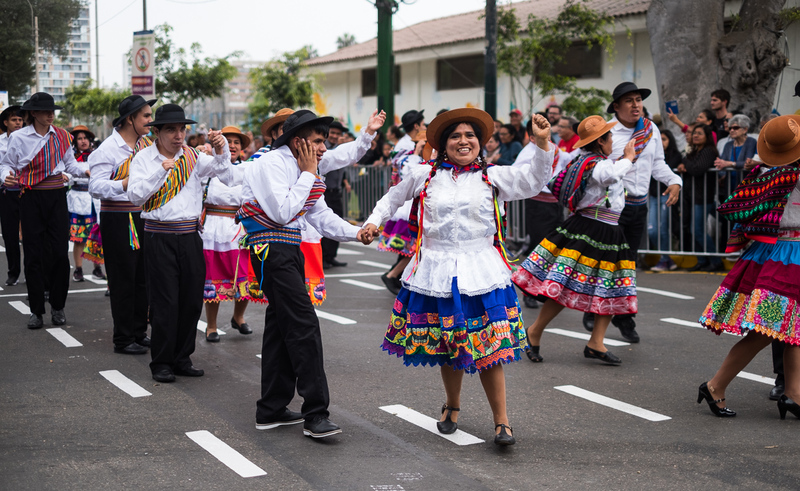 Within a short time of arriving in Lima, I realised how incredibly friendly the Peruvians are. 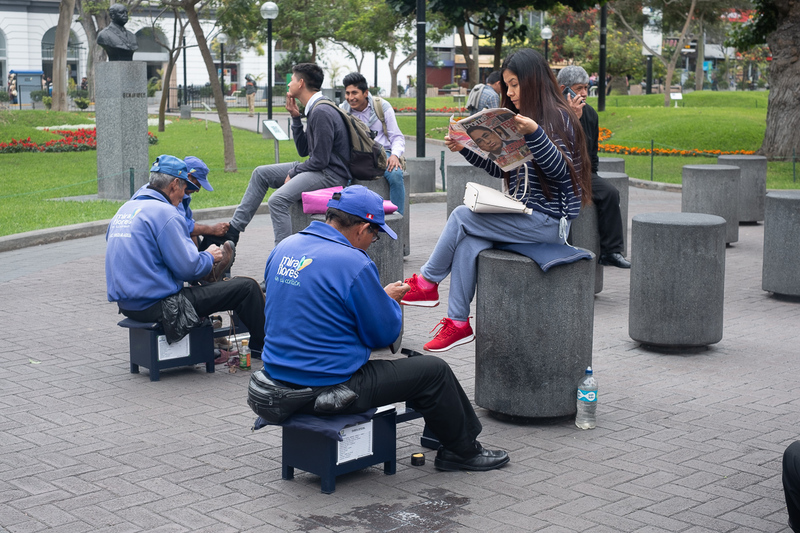 Whether in Miraflores (the ‘posh’ part of Lima) or downtown, I met only warm and welcoming people. 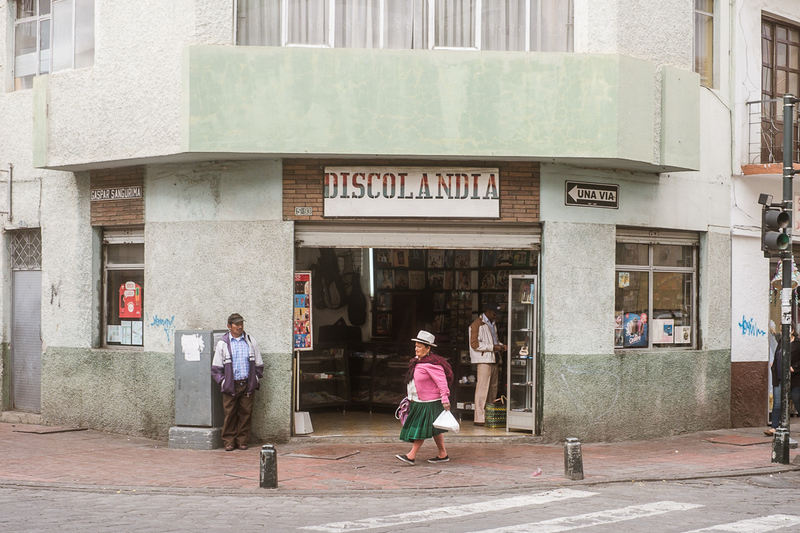 This continued throughout my whole time in Peru, and I found myself wishing I’d had longer to enjoy the country. 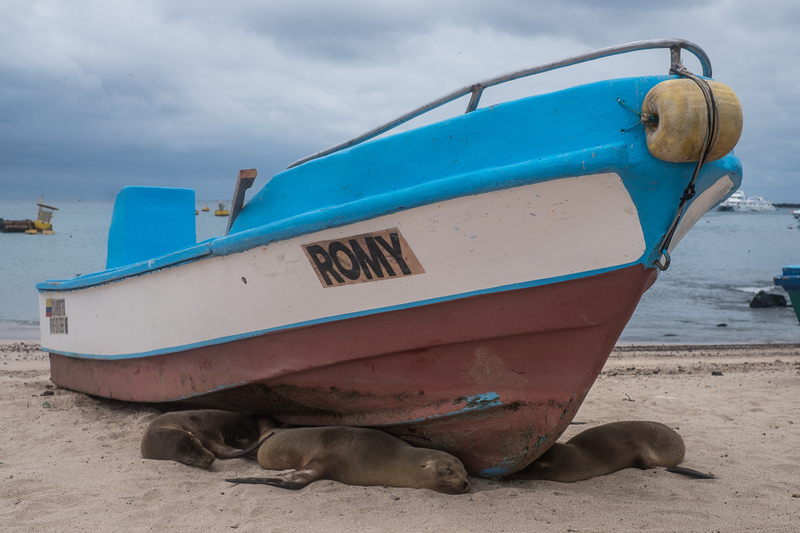 I had read great reviews for a boat trip from Lima harbour to an island to ‘swim with sea lions’. The many many reviews were unequivocal, so I booked up. What a great decision – it was awesome. 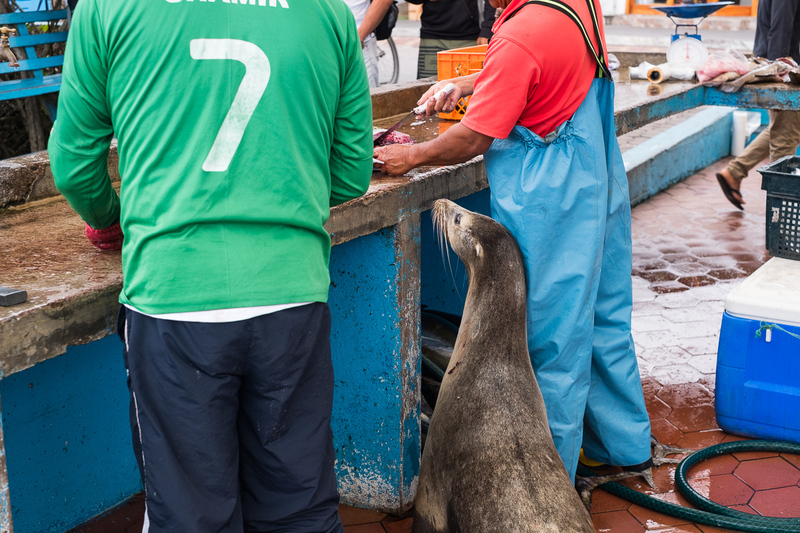 The sea lions are curious (they have no need to swim with you, and are not fed or otherwise encouraged). Quite a few times they would come close, then create a mighty spash before swimming away. Look carefully at the rocks in the background. Hundreds of sea lions! 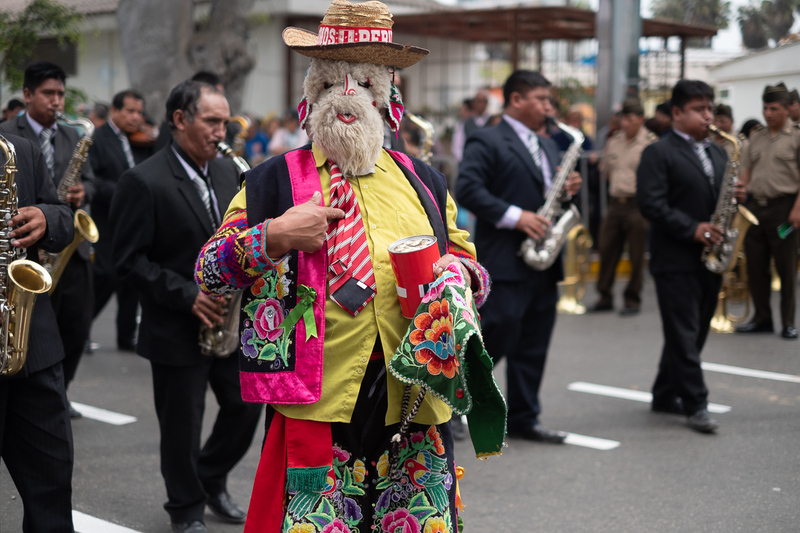 I was also lucky to catch the street party for the 144th birthday party of the Barranco district. 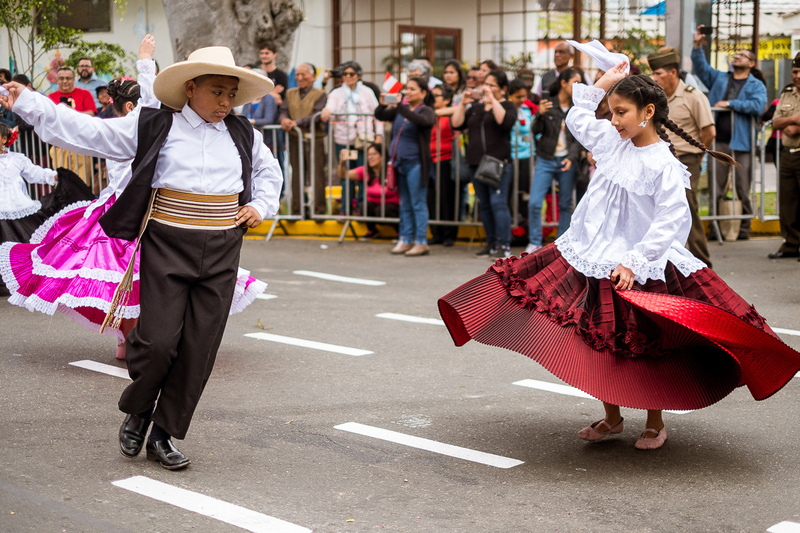 The costumes were beautiful, and the dancing accomplished, even the kids. It was also great to see the special needs community completely included in the festivities. 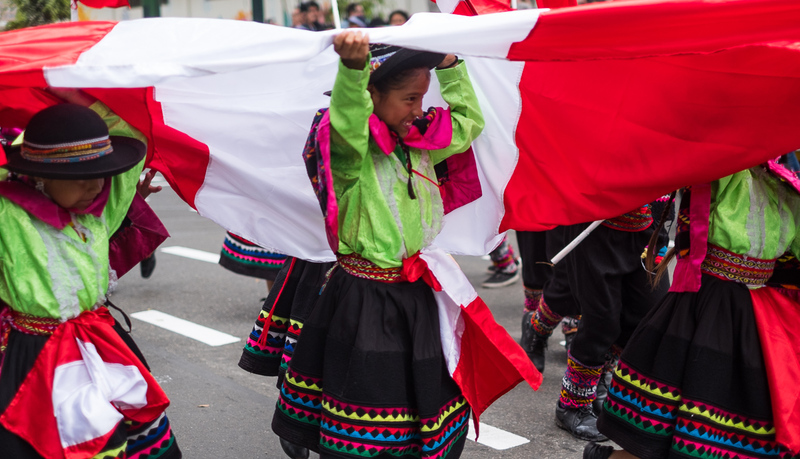 Another thing I noticed throughout my time in Peru, was the pride in the country and the flag. 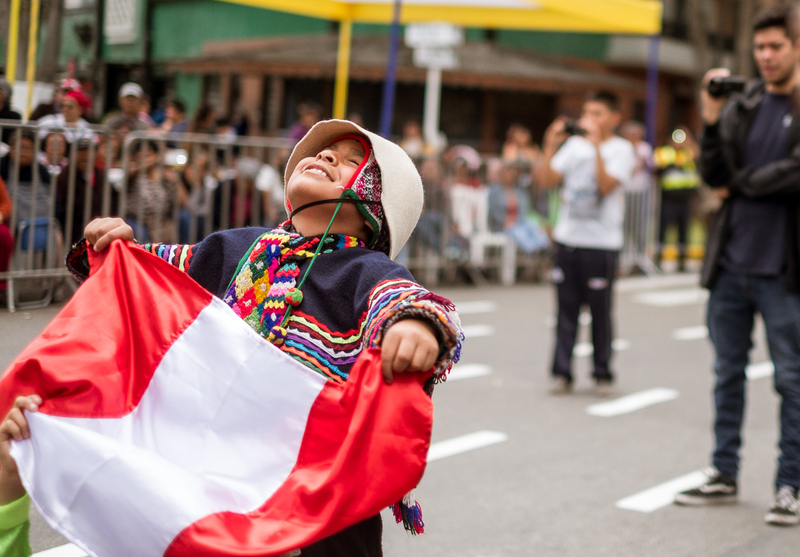 I loved the enthusiasm of these kids at the parade whilst waving their flag. I left my boxed bike at the hotel in Lima and flew to Cusco, the old Inca capital and the gateway to the Sacred Valley. 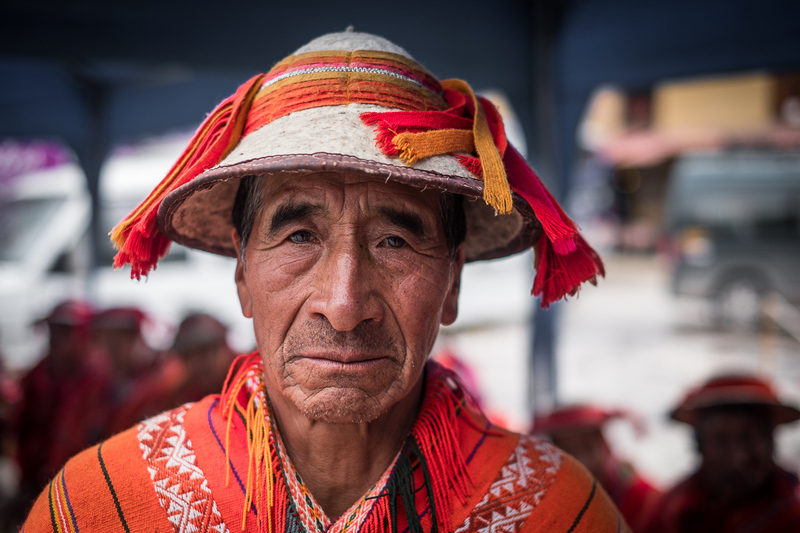 I had expected Cusco to be another town where I might again meet indifference amongst the locals, due to guaranteed tourists for Machu Picchu. 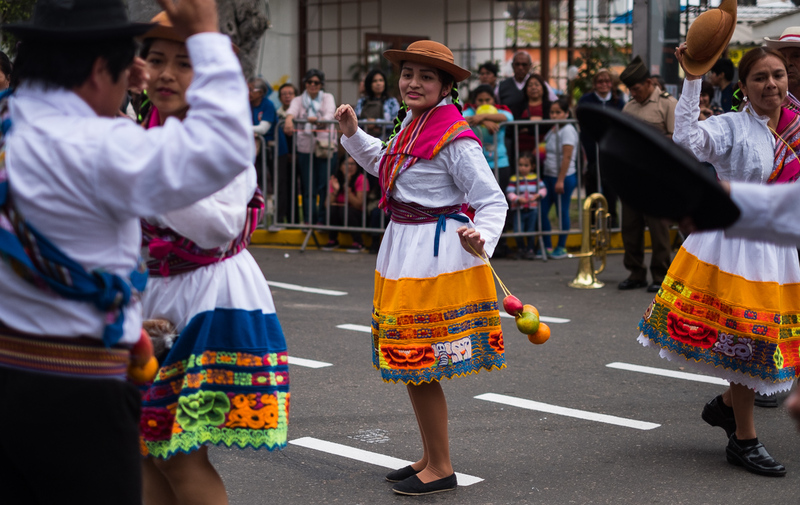 Nothing could be further from the truth and I couldn’t help comparing to my Galapagos experience when I encountered nothing but warmth and hospitality in Cusco. 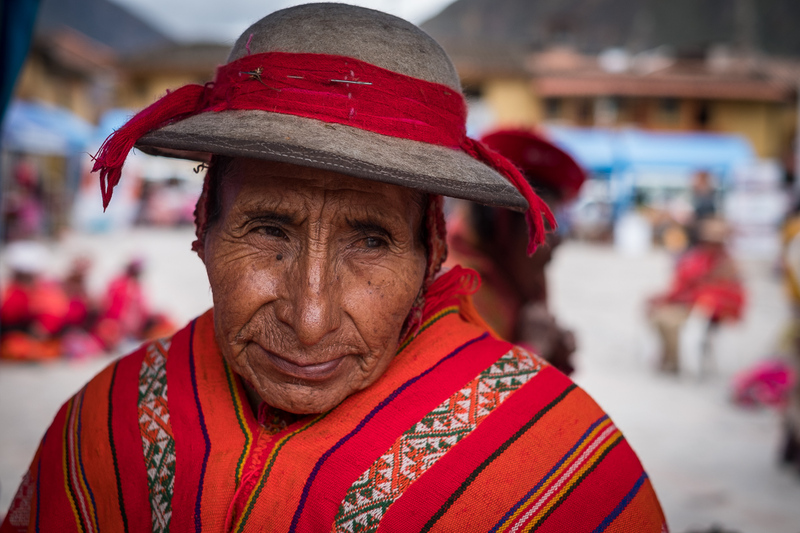 I took a couple of days to acclimatise to altitude again (despite having been at over 4000m in previous weeks, I still got a splitting headache at Cusco’s 3500m). 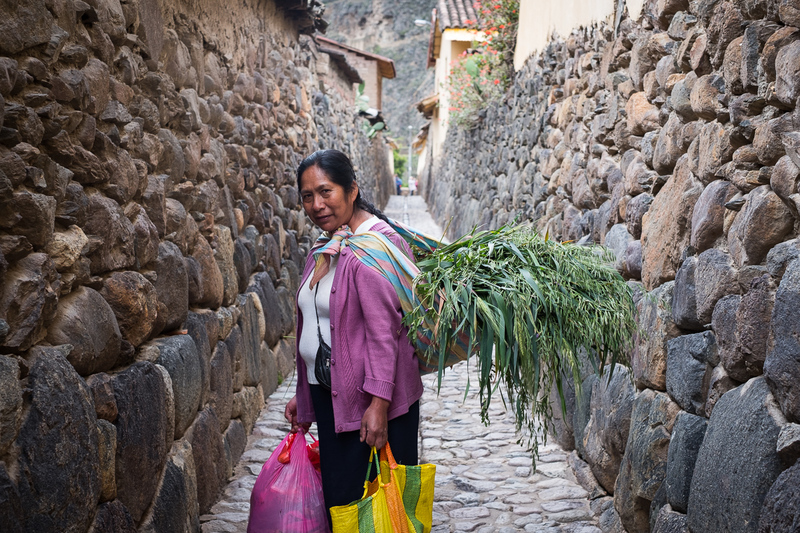 Then I headed to Aguas Calientes, the town at the foot of Machu Picchu. This journey was by train, through the spectacular valley, which you could really enjoy due to the glass-roofed coaches. 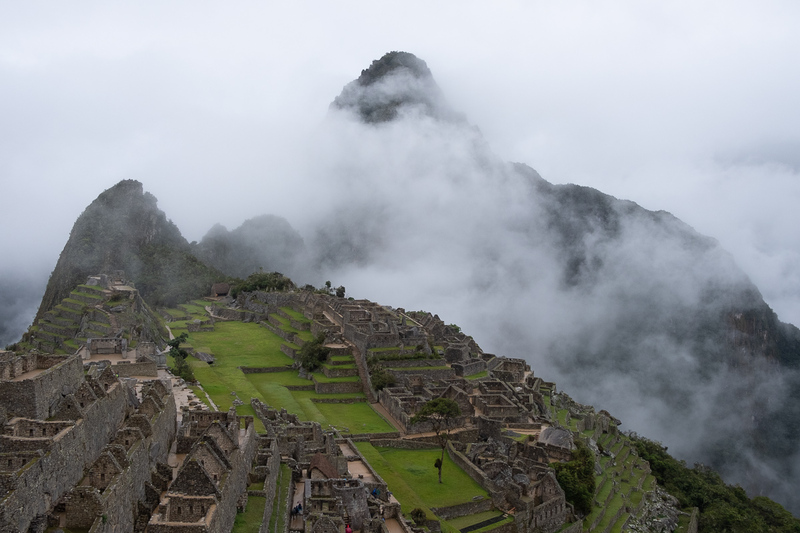 The next day, setting out at 4.30am, I hiked up to Machu Picchu (why make things easy and take the bus?). Climbing 500m in altitude pretty much all by steps hewn into the rock was taxing to say the least. I started off in the dark, putting my snazzy headtorch to good use. 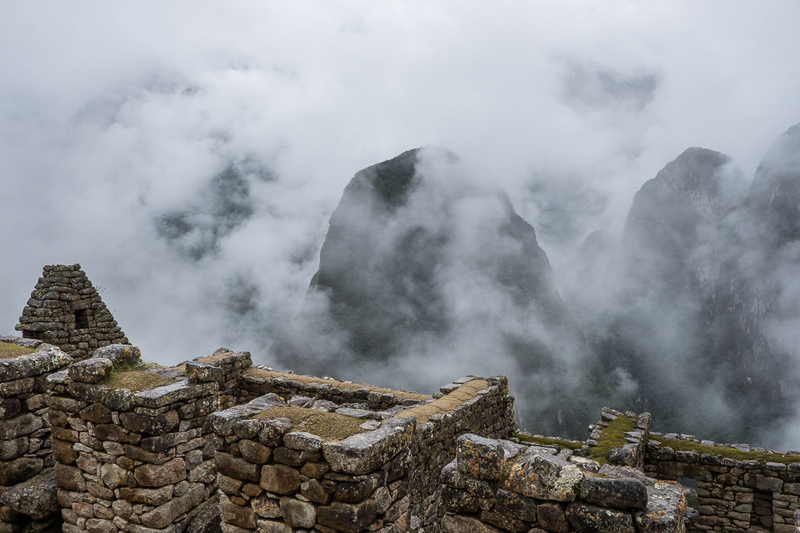 As day broke, it became clear that Machu Picchu would be in the clouds, but this added to the mystery of the place. No matter how often you’ve seen it in pictures, and despite the masses of visitors, it is quite something to see this incredible town built at altitude some 500 years ago. Apparently the only reason it wasn’t destroyed when the Spanish invaded was that they didn’t know it was there! I had already bought a ticket to climb higher up the mountain too, so headed up another 500 metres, again mainly steps. When I got to the top I could see absolutely nothing – it was completely in cloud, with no sign of it clearing. Ho hum; you can’t be lucky all the time. I still enjoyed the challenge of climbing and descending a total 1000 metres of altitude by stairs in a day. I couldn’t walk properly for a good couple of days afterwards though! 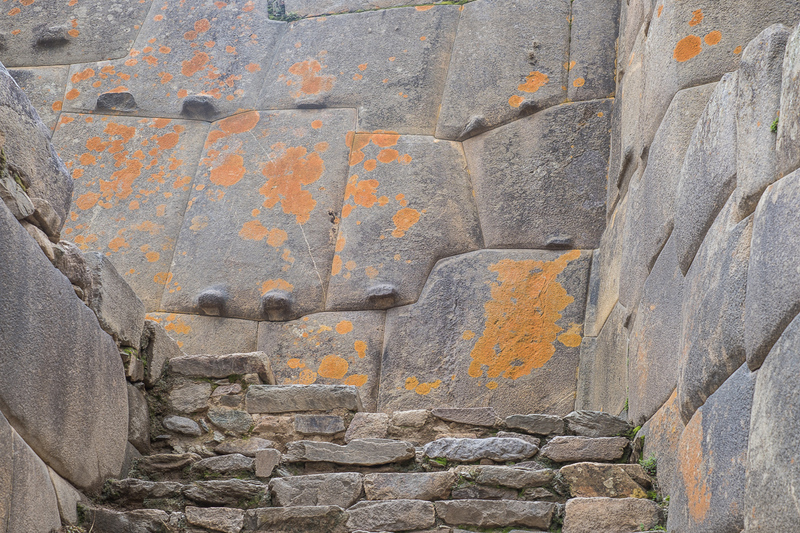 Once back in the town, I made my way to the station to take the train to Ollantaytambo, another town with well-preserved Inca remains, arriving in the evening. The next day I saw the ruins, which were just as spectacular as Machu Picchu, just in a different way. The craftsmanship is breathtaking. 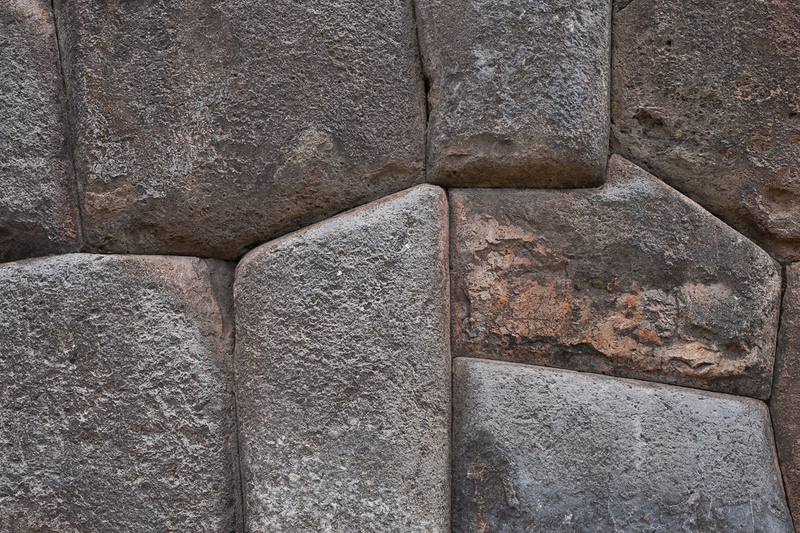 The enormous stones were laid together in a perfect jigsaw; no mortar, no gaps. In the town square there was a public health event going on. They had mobile doctor and dentist trucks parked up, and there were many people in traditional dress in the square, who were happy to chat or have their photos taken. I also visited the salt flats on the way back to Cusco. Natural saline spring water flows from the volcano and channeled into over 450 different ‘pits’, where the water evaporates to leave mountain salt. 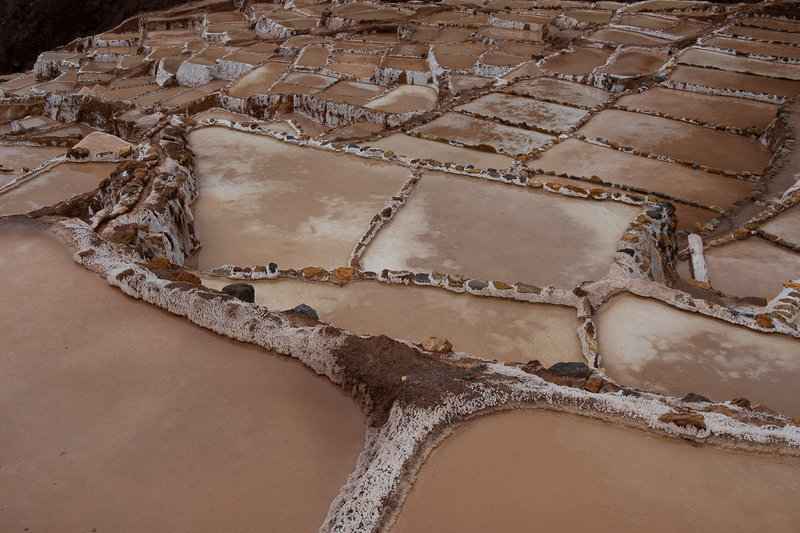 The pits belong to different families, who work in a collective to market and sell the salt. A remarkable place. 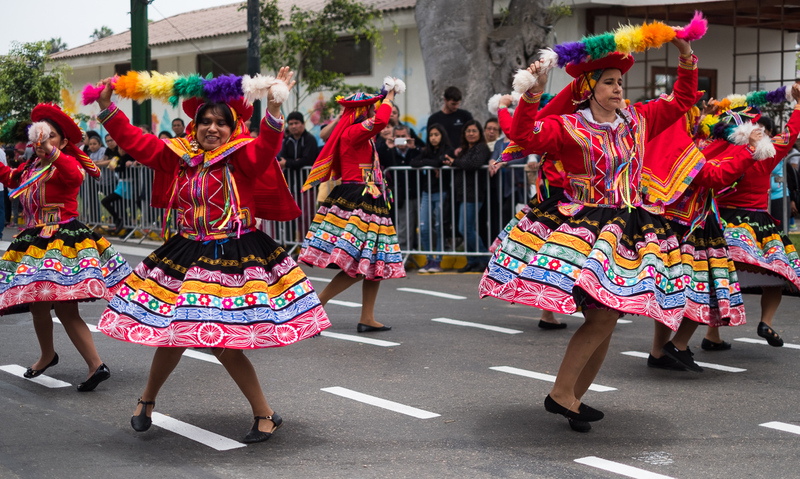 So after a thoroughly enjoyable few days in the Sacred Valley it was back to Lima. 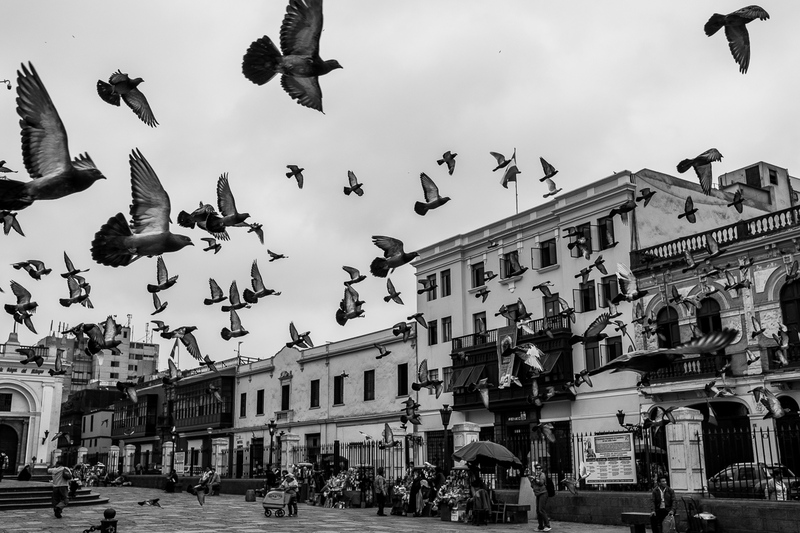 I had time to explore the spectacular colonial city centre before my bus trip to the city at the Chilean border the following day. I visited a beautiful old café in the centre. Not only did it have a wonderful old-world atmosphere, it also had the most incredible Gaggia coffee machine. Apparently it’s 80 years old, and still in daily use. If in Europe, I suspect it would have long since been in a museum. The 21 hour bus ride to the border was just as comfortable as the ride to Lima. I got to Tacna refreshed. Once the bike was put back together, I was ready for the ride into the desert to reach Chile….. Previous postEcuador, and past the 2000 km mark. Wir waren mal in Chile und haben es geliebt, ich bin schon so gespannt auf deine Eindrücke!! Gute Reise! Another great update, very envious! 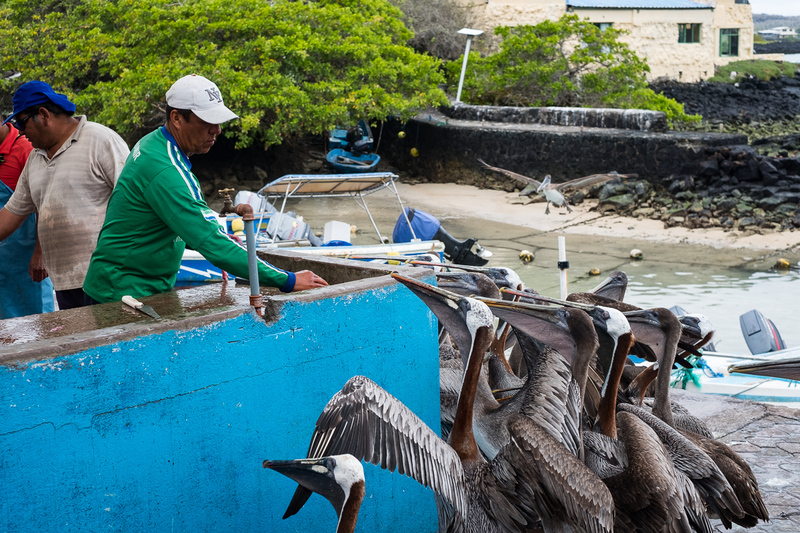 Sorry to hear about the Galápagos Islands. Problem of being on the ecotourism trail and too many Attenborough films! Glad you got there though. Still with you Stuart and thoroughly enjoying reading about your trip. You’re definitely creating memories. Safe travels dear chap. . Fantastic stuff! My sister-in-law is Peruvian and is in hosipital recovering from a leg op. Will send her your blog to cheer her up. Awesome post and pics, Stuart! 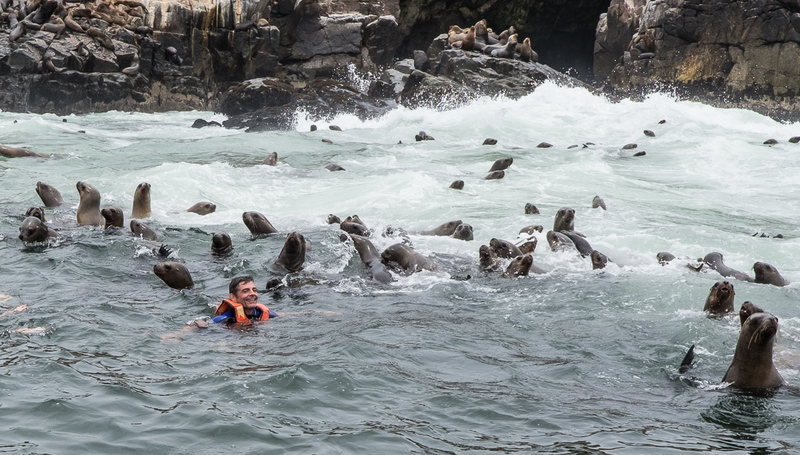 I couldn’t help but wonder: Who took the shots of you in the water with the sea lions, and were you all on your lonesome atop Machu Picchu after your early morning trek? 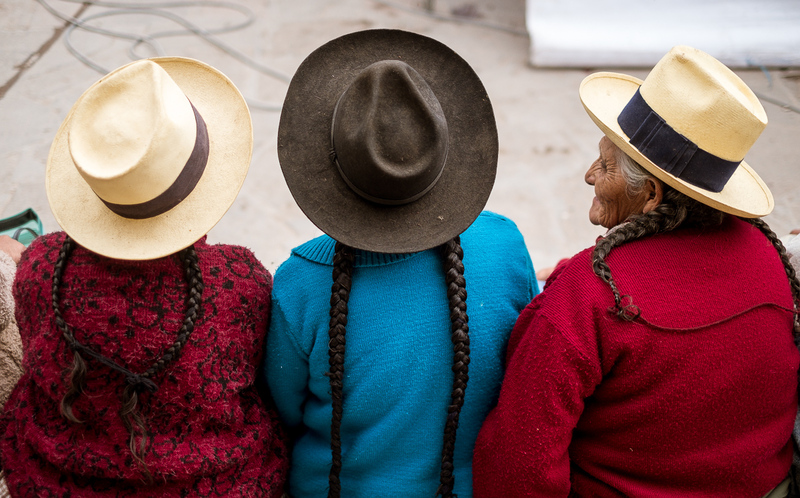 we are following all your updates with maike going “ohh” and “ahh” all the time, remembering her own youth in peru. Hi, I also studied Spanish in Cuenca for a summer and have remained quite close to the 2 teachers I had: one actually visited me in the US. 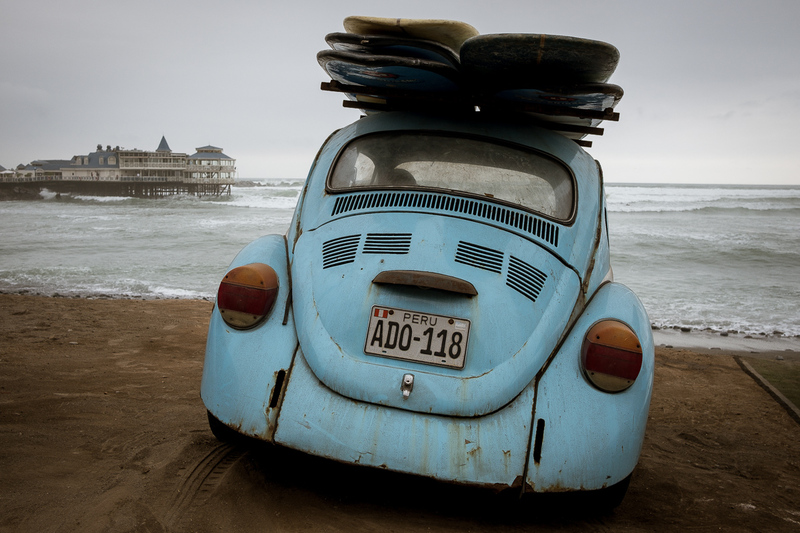 I want to return there. Which school did you attend? 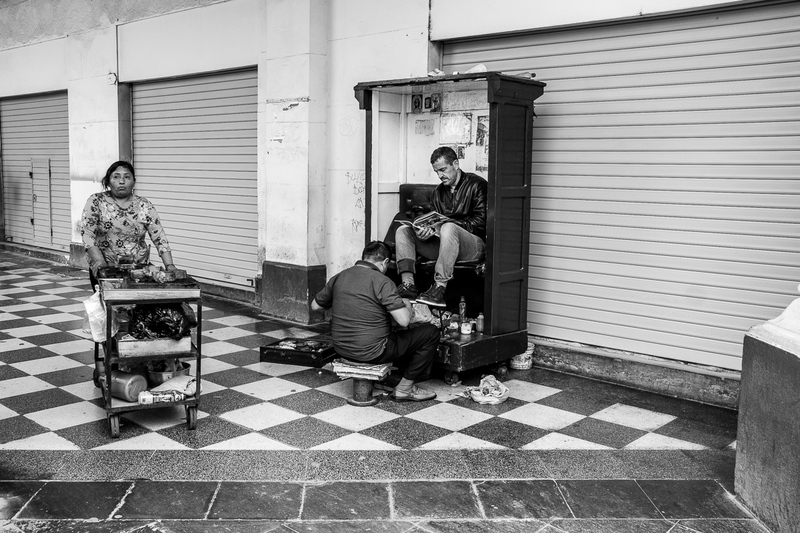 How did it compare to Medellin? Recommendations would be appreciated. 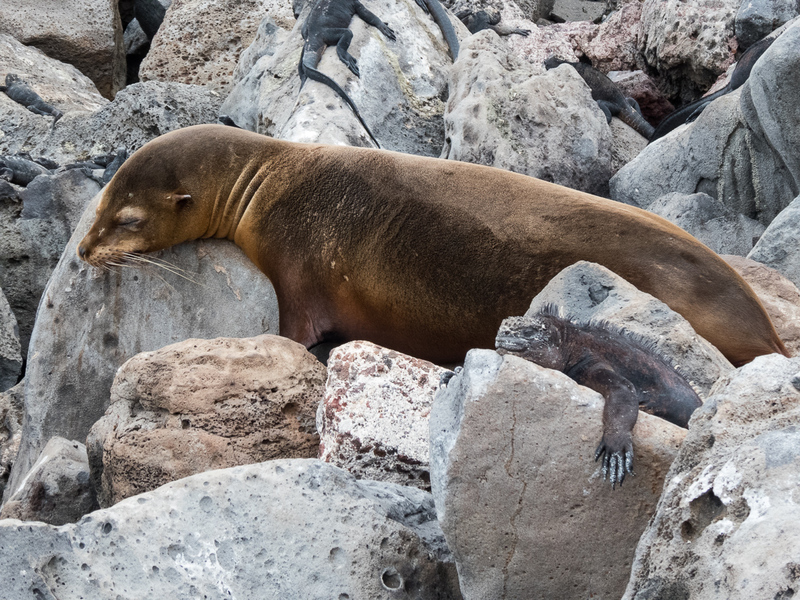 I also went on a cruise to Galapagos and had the same experience that you had. I called it a zoo with ancient animals and enjoyed Cuenca more than the Galapagos. 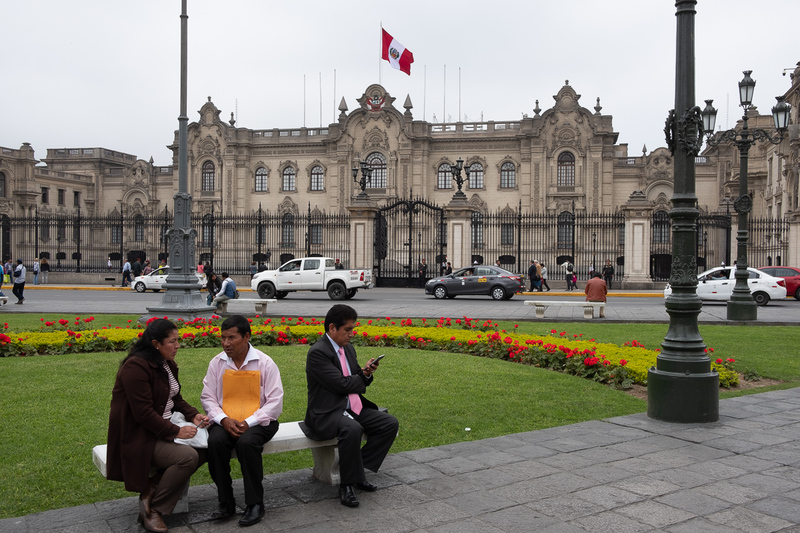 More questions: Couldn’t you take a bus from Cuenca to Cuzco? I want to return there and also go to Macchu Pichu. Did you go up there with a hiking group and if you did, would you recommend them? Thanks for recommendations. I’m really enjoying your posts! What great reading Stu! The photos of the dancers and their beautiful costumes were just fabulous! I am looking forward to hearing about Chile. Hi Stu, still reading and look forward to your next posts! Love the photos, I hadn’t realised you had such an eye for photography. Enjoy – looks and sounds amazing. Saludos de Boston. Me encantan las fotos y la experiencia en Macchupicchu, un lugar que he querido visitar desde mi juventud. No puedo esperar la llegada a Mendoza y compartir un vaso de vino argentino.